April 2018, like so many Aprils before it, is recognized as Sexual Assault Awareness Month. This is a time for mobilization and advocacy; a time to highlight steps forward and progress. But, as with any month dedicated to a specific cause, it cannot end here. Sexual assault is an issue on every campus and in every community. RAINN has reported that people ages 18-24 people make up 54% of all sexual assault survivors. Men in college are five times more likely than men who are not students to be sexually assaulted. It is also estimated that women in college are twice as likely to be sexually assaulted than they are robbed. An issue this prevalent should not be ignored – we, as a campus and a community, cannot afford to ignore it. We want to stress that change can start small; anyone is capable of making a difference and it can be done in a multitude of ways. Whether it is through keeping an eye out at parties, becoming educated on the impact sexual assault has on a survivor, or joining an advocacy group, your actions matter. Learn how you can make a difference through prevention, awareness, and intervention, and how you can help create a supportive environment for survivors. Sometimes these actions can feel thankless or unnecessary, or maybe they feel like a waste of time, but the importance of sensitivity and looking out for each other cannot be overstated. 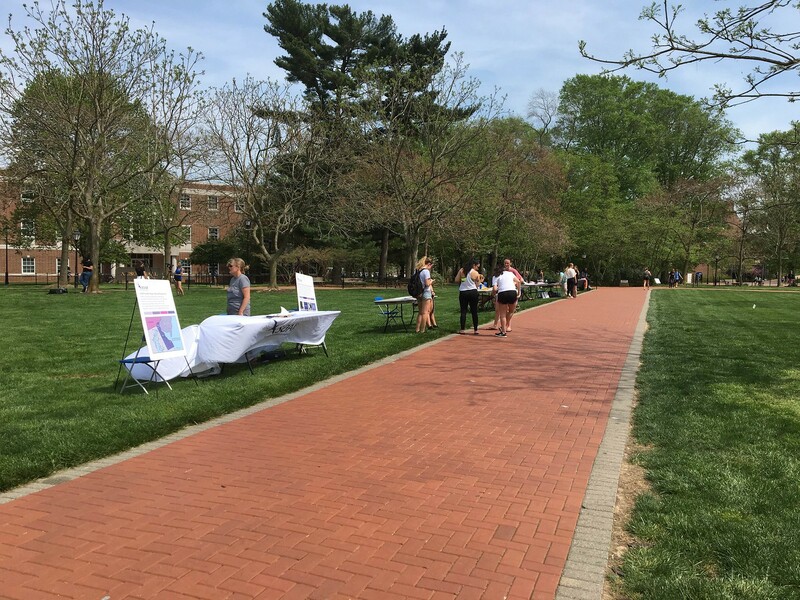 Throughout the month of April, there will be events hosted by a variety of groups on campus that are an opportunity for students to get involved and educated, including, but not limited to: Greek Day of Action Action (April 4), a showing of Escalation (April 9), a talk-session hosted by It’s On Us at UD about consent (April 11), Denim Day and Red My Lips (April 25) and Take Back the Night (April 26). We highly recommend attending events when you can and keeping an eye out for others that will be occurring. There is no time like the present to learn more about sexual assault on campus and to make change. Be a courageous bystander. Don’t be afraid to speak out. We thank you for your efforts, no matter how small they may seem. If you are interested in extending your efforts beyond April, you can look to helping with UD groups like Sexual Offense Support (SOS), Students Acting for Gender Equity (SAGE), kNOw MORE, V-Day, Men Active in Societal and Cultural Change (MASCC) and It’s On Us (IOU), in addition to others. Sexual Offense Support (SOS) provides 24/7 support for all survivors, as well as survivors’ friends, family, roommates and UD staff trying to provide assistance. If you would like to speak to an advocate, call 302-831-1001 and Press 1. Chase Meadows and Natalie Walton are Co-Presidents of the RSO It’s On Us at UD. If you are interested in learning more about the organization, you can find us on Twitter, Instagram and Facebook at IOUatUD. And if you are interested in co-sponsoring an event or finding out more about It’s On Us, you can also reach us at itsonusdelaware@gmail.com. It's On Us organized a #MeToo Rally where students could stand in solidarity with survivors of sexual violence and survivors could publicly share their experiences.